KLM just dropped the price of their flights from Toronto to Cape Town, South Africa (CPT) to an unusually low price of $812 roundtrip including taxes. This is approximately 30% below the typical best price seen on this route. 3. Adjust the trip length at the bottom, right below the bar graphs. 4. Browse for date combinations that come up as $812. For example, Feb 3-13 is showing as $812. Click on a date combination that interests you. Pick your outbound and return flight. Click on the 'Book with Delta' or 'Book with KLM' links, which will take you directly to the booking page on either Delta's website or KLM's website. NOTE: The flight is a codeshare, so even when you book through the Delta website (which appears to be slightly cheaper), you are still actually flying with KLM. January through April are all pretty ideal months to visit Cape Town. January through March have fairly hot temperatures (highs of 24-25C), while April is simply warm (highs of around 22C). You may want to look at the map on the CDC website to see just how far away the closest reported case of ebola is to South Africa. (Hint: Africa is huge, and it's very, very, far). But there's no doubt that this price drop is likely related to ebola fears, and tourism everywhere on the continent of Africa has suffered greatly. Sometimes the general public's ignorance can be the rational traveler's gain. Thanks to Rishi in the YYZ Deals Facebook Group for finding and sharing this deal. toronto, yyz, flight deals, delta, klm, africa, south africa, southern africa, cape town and cpt. 10 Responses to "Toronto to Cape Town, South Africa - $812 roundtrip including taxes"
Nice! I'm jealous. Have a great trip Krystal! Thank you very much for posting this. Although, i cant bite on this one i really appreciate your posts that serve the greater good. Thanks for this posting! Planning on jumping on this one for Jan 18th - 25th! Anyone worried about catching Ebola in Cape Town needs to 1) Get a map , and 2) give their head a shake. By the same logic, they should also probably avoid travel to the USA since, unlike South Africa, the US has actually had cases of Ebola. 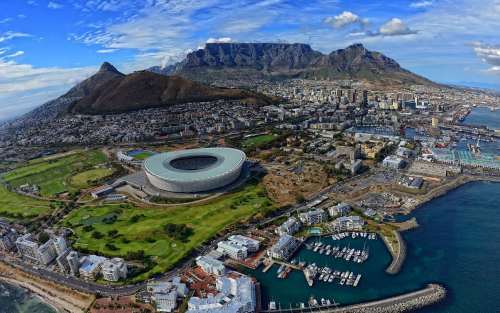 Along the same lines - British Airways has dropped their prices to Cape Town as well. Round trip from Toronto is in the 775 dollar range (I was searching on Orbitz using dates August 25th - September 8th). I ended up booking a multi-city ticket from Toronto-Cape Town/Cape Town – Jo-Burg/Jo-Burg – Toronto for a whopping 830 dollars. Definitely a good point, Chris - too bad the exchange is crap right now, ha. Oh well, I'm still pretty pleased with the price!